I am part of the PTPA Brand Ambassador Program with Kobo and I received compensation as part of my affiliation with this group. The opinions on this blog are my own. Christmas time is a great time of year for book lovers because books always make great gifts. As the year comes to a close, and the best books of the year are released, it even easier to find great books. E-books are a book lovers dream. 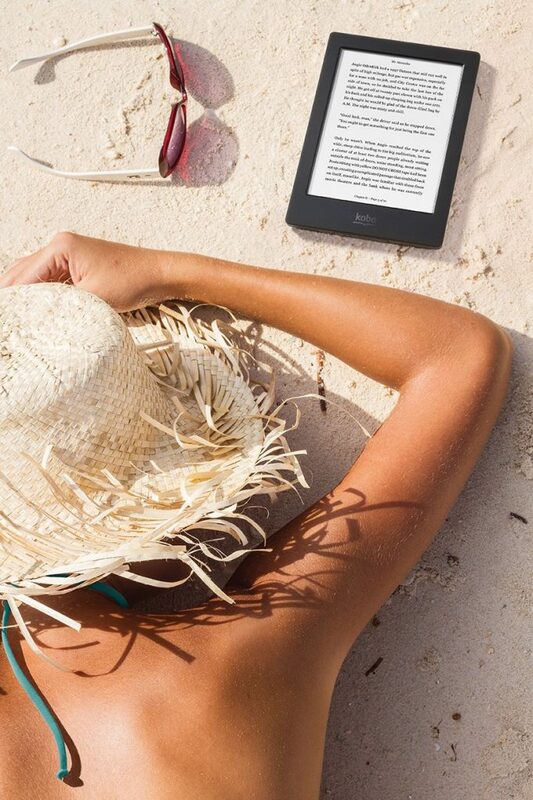 No matter what kind of e-reader they have, a tablet, their phone or a Kobo, the Kobo app brings the world of books to the palm of their hands. If you have a book lover on your Christmas list this year, fill their Kobo app with books from this year’s best sellers app. I was one of those people who never would have thought they would EVER read a book that wasn’t printed on paper. Don’t get me wrong, I still love reading paper books but being able to take my e-reader anywhere with me, with it’s library of books, is such a wonderful thing. Whether I’m waiting on my teen or tween outside of church when youth group lets out, on vacation or even just snuggled in my bed, having all my books right at my fingers is fantastic! I am so excited to see that my favorite book this year, Gone Girl made the number one spot (I also loved #2,The Fault in Our Stars. My daughter (12)loved that one as well!) Using the Kobo app, I have been able to read wherever I was, and whenever I have been able to have a few minutes to myself. Kobo is also fantastic for kids too. Featuring over 100,000 children titles, it makes up 7% of the sales in the Kobo store. Parents can even set up a spending allowance so that kids can order new books when they finish their old ones. My kids are constantly asking me to get them books that they love on their e-readers. How can I say no to that?! What books from the Best Seller List above have you read this year? Any that you are dying to read? Now’s your chance to #ReadMore because we are giving away twenty (20) $100 Kobo e-Store Credits! Twenty lucky winners will get to download a lot of great books so make sure you enter below! Make sure you follow Kobo on Facebook, Twitter and Pinterest to stay up-to-date on all the great e-books and deals they feature. I would love to read Gone Girl. There are so many I would love to read.